The GFG (Gupta Family Group) Alliance is an international group of companies founded and owned by the Gupta Family, with global revenues in excess of US$15 billion. 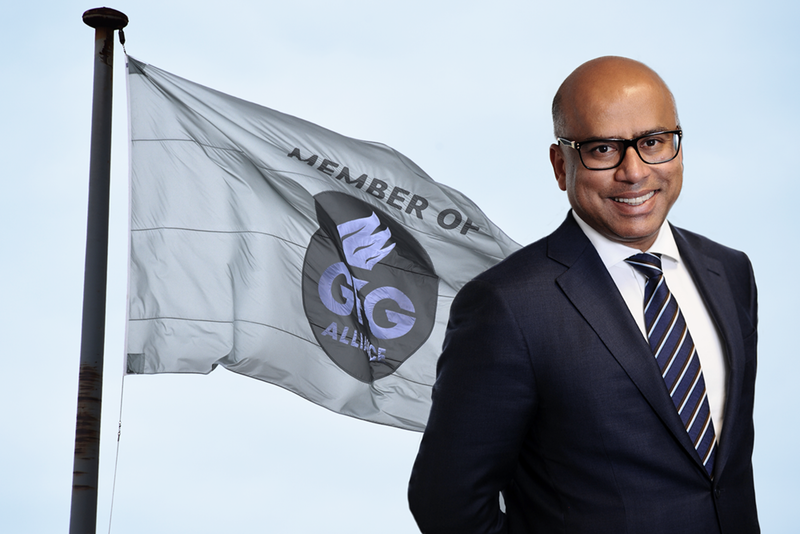 Sanjeev Gupta made headlines in Australia in 2017 when GFG purchased OneSteel, and again in 2018 when GFG bought the Whyalla Steel Works in regional South Australia – saving 6,000 jobs and giving the regional town a long-term economic boost with GFG’s plans to turn the steel works into a grand-scale steel plant. 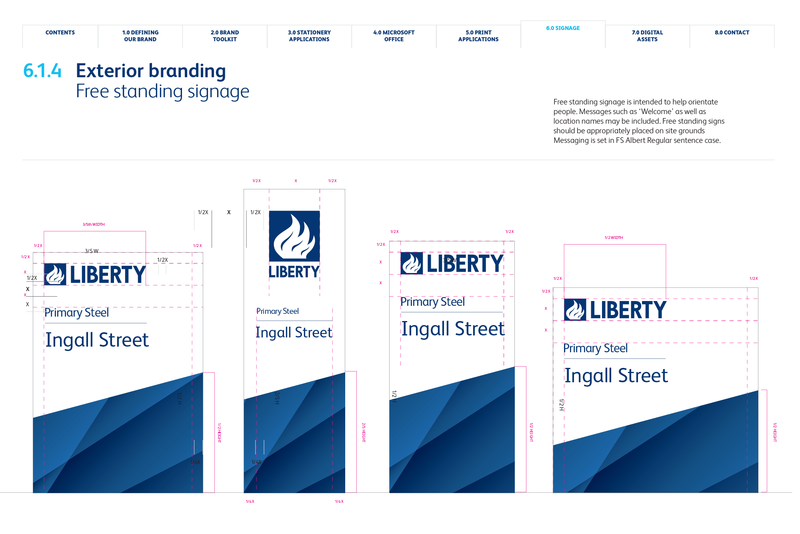 GFG is a global business Alliance of four different companies (and brands) working together towards a common mission, vision, and strategy – Liberty (steel), SIMEC (power generation), Jahama (property), and Wyelands (financial services). GFG and its four company brands were all new to the Australian market. 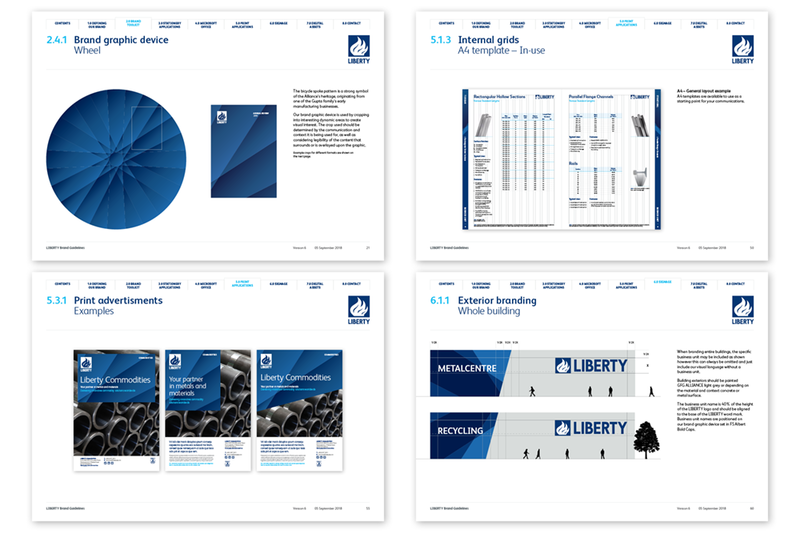 OneSteel was soon to become Liberty, and the narrative was of change, innovation, transformation, and an industrial renaissance in metals and engineering. This presented a moment-in-time opportunity to create a brand positioning, story, and visual identity that reflected this new order and intent – for GFG’s employees, customers, and industry partners, both in Australia and around the world. 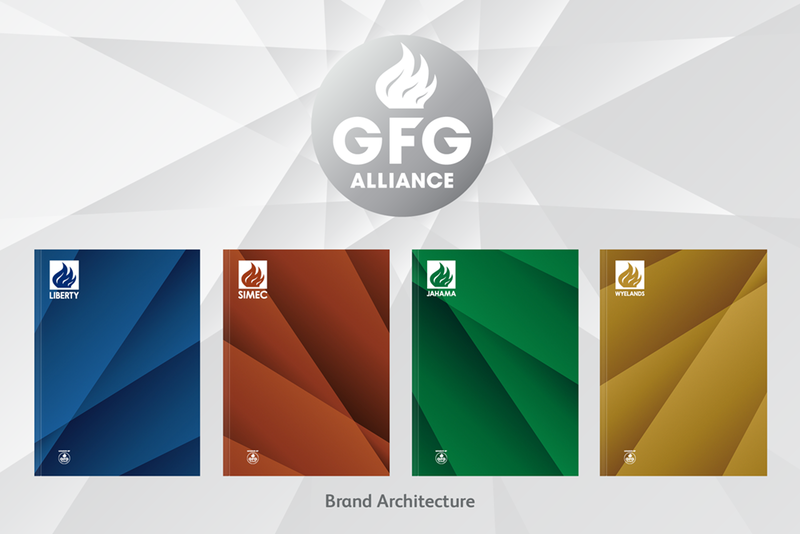 We created a branded house, with GFG and its four operating companies having a common brand story and identity, while still allowing each business to have its own positioning, identity, and operations (within that framework). – A Common Mission. On a planet of limited resources, rising population and cycles of prosperity and recession, we are on a mission to create a sustainable industrial future. – A Shared Purpose. We exist to inspire and drive a strong economy and a sustainable future. – An Integrated Strategy. 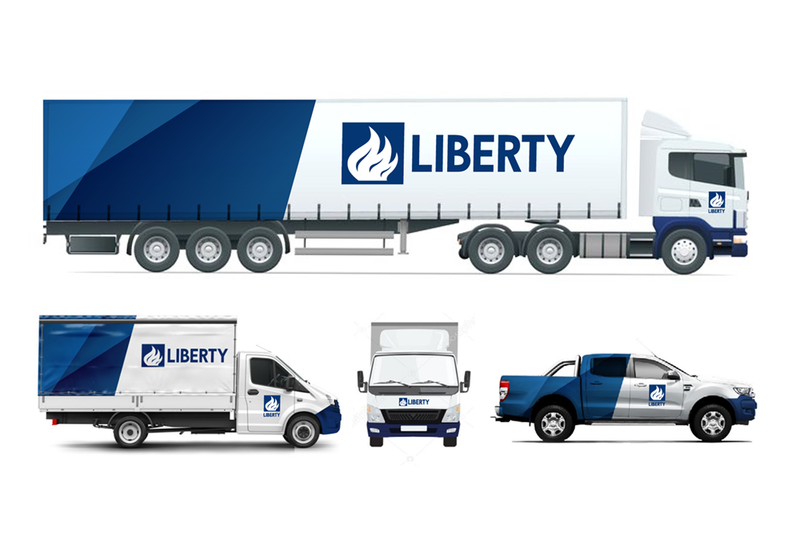 The Alliance companies are integrated to serve the business needs and requirements of one another – from the renewable energy that recycles metal in our furnaces and mills, to the precision engineering in our manufacturing plants, to the financial services that support and enable trade and manufacturing – while still having the autonomy and flexibility to grow as independent businesses in their own right. – The Flame as the symbol of unity. The flame is the visual symbol that unites GFG Alliance and its companies under a common vision and industrial strategy, that serves tomorrow’s generations as much as today’s. The Bicycle Wheel and Spokes as a symbol of the Alliance’s heritage. – The bicycle wheel and spokes are a strong symbol of the Alliance’s heritage, originating from one of the Gupta family’s early manufacturing businesses, Victor bikes. Each company’s brand identity draws on a different element of the bicycle wheel, visually illustrating how GFG is an Alliance of different, strong, independent businesses, yet working together as one. 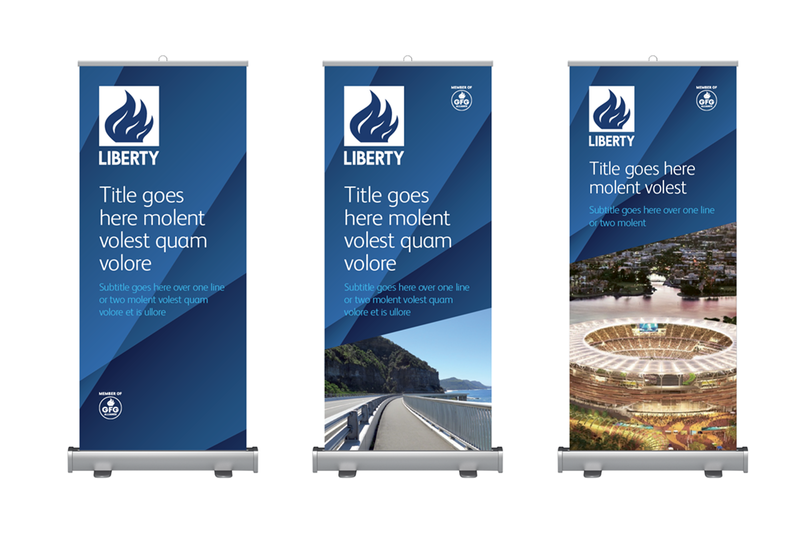 GFG and its four operating companies have successfully been rebranded, and the new branding continues to be rolled out across their steel works, retail steel outlets, vans and trucks, reception areas, signage and digital communications everywhere.